But this approach to the life of prayer has nothing to do with the Christianity of St. Paul, who urges the Christians of first century Thessalonica to pray without ceasing (1 Thessalonians 5:17). And in his letter to Rome, the Apostle instructs the Christian community there to be constant in prayer (Romans 12:12). He not only demands unceasing prayer of the Christians in his care, but practices it himself. We constantly thank God for you (1 Thessalonians 2:13) he writes in his letter to the Thessalonian community; and he comforts Timothy, his true child in the faith (1 Timothy 1:2) with the words: Always I remember you in my prayers (2 Timothy 1:3). In fact, whenever St. Paul speaks of prayer in his letters, two Greek words repeatedly appear: pantote, which means always; and adialeptos, meaning without interruption or unceasingly. Prayer is then not merely a part of life that we can conveniently lay aside if something we deem more important comes up; prayer is all of life. Prayer is as essential to our life as breathing. This raises some important questions. 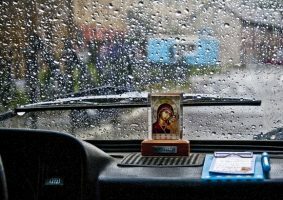 How can we be expected to pray all the time? We are, after all, very busy people. Our work, our spouse, our children, our school – all place heavy demands upon our time. How can we fit more time for prayer into our already overcrowded lives? These questions and the many others like them that could be asked set up a false dichotomy in our lives as Christians. To pray does not mean to think about God in contrast to thinking about other things or to spend time with God in contrast to spending time with our family and friends. Rather, to pray means to think and live our entire life in the Presence of God. As Paul Evdokimov has remarked: “Our whole life, every act and gesture, even a smile must become a hymn or adoration, an offering, a prayer. We must become prayer-prayer incarnate.” This is what St. Paul means when he writes to the Corinthians that whatever you do, do it for the glory of God (1 Corinthians 10:31). 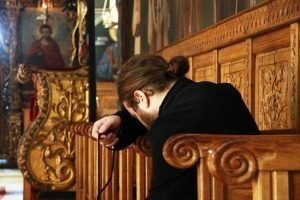 In order to enter more deeply into the life of prayer and to come to grips with St. Paul’s challenge to pray unceasingly, the Orthodox Tradition offers the Jesus Prayer, which is sometimes called the prayer of the heart. The Jesus Prayer is offered as a means of concentration, as a focal point for our inner life. Though there are both longer and shorter versions, the most frequently used form of the Jesus Prayer is: “Lord Jesus Christ, Son of God, have mercy on me, a sinner.” This prayer, in its simplicity and clarity, is rooted in the Scriptures and the new life granted by the Holy Spirit. It is first and foremost a prayer of the Spirit because of the fact that the prayer addresses Jesus as Lord, Christ and Son of God; and as St. Paul tells us, no one can say ‘Jesus is Lord’ except by the Holy Spirit (1 Corinthians 12:3). 1. In its brevity and simplicity, it is the fulfillment of Jesus’ command that in praying” we are “not to heap up empty phrases as the heathen do; for they think that they will be heard for their many words. Do not be like them . . . (Matthew 6:7-8). 2. The Jesus Prayer is rooted in the Name of the Lord. In the Scriptures, the power and glory of God are present in his Name. In the Old Testament to deliberately and attentively invoke God’s Name was to place oneself in his Presence. Jesus, whose name in Hebrew means God saves, is the living Word addressed to humanity. Jesus is the final Name of God. Jesus is the Name which is above all other names and it is written that “all beings should bend the knee at the Name of Jesus” (Phil. 2:9-10). In this Name devils are cast out (Luke 10:17), prayers are answered (John 14:13 14) and the lame are healed (Acts 3:6-7). The Name of Jesus is unbridled spiritual power. 3. The words of the Jesus Prayer are themselves based on Scriptural texts: the cry of the blind man sitting at the side of the road near Jericho, Jesus, Son of David, have mercy on me (Luke 18:38); the ten lepers who called to him, Jesus, Master, take pity on us’ (Luke 17:13); and the cry for mercy of the publican, God, be merciful to me, a sinner (Luke 18:14). 4. 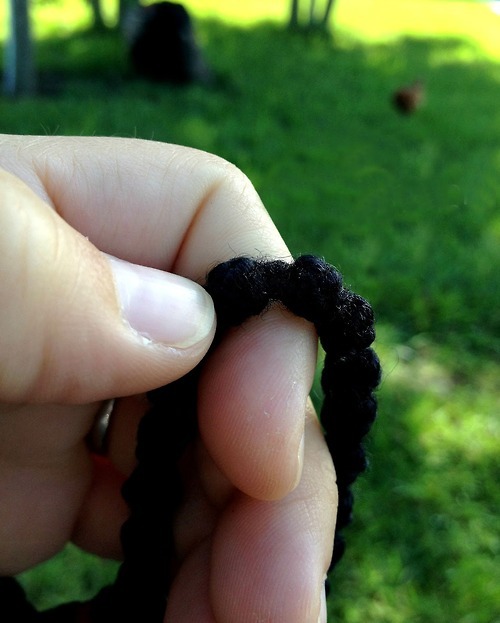 It is a prayer in which the first step of the spiritual journey is taken: the recognition of our own sinfulness, our essential estrangement from God and the people around us. The Jesus Prayer is a prayer in which we admit our desperate need of a Saviour. For if we say we have no sin in us, we are deceiving ourselves and refusing to admit the truth (1 John 1:8). 3.The third and final level is prayer of the heart. At this stage prayer is no longer something we do but who we are. Such prayer, which is a gift of the Spirit, is to return to the Father as did the prodigal son (Luke 15:32). The prayer of the heart is the prayer of adoption, when God has sent the Spirit of his Son into our hearts, the Spirit that cries ‘Abba, Father!‘ (Galatians 4:6).